Continued from Getting from Paris to Camino Inglés. Here’s a bird’s-eye view of A Coruña. Click the image below to expand. On the far left you can see the Tower of Hercules, and along the bottom, a long stretch of beach. The port and marina are on the right, and the Old Town (Ciudad Vieja in Spanish, Cidade Vella in Galician) is situated to the left of the marina—complete with narrow winding streets to get lost in, old churches to pray in, a lively pedestrianized zone to stroll through, and plenty of bars to quench your thirst in (or satiate your hunger with free tapas!). What’s not to love! I managed to pack all of this in on the same day that began in Paris before sunrise. 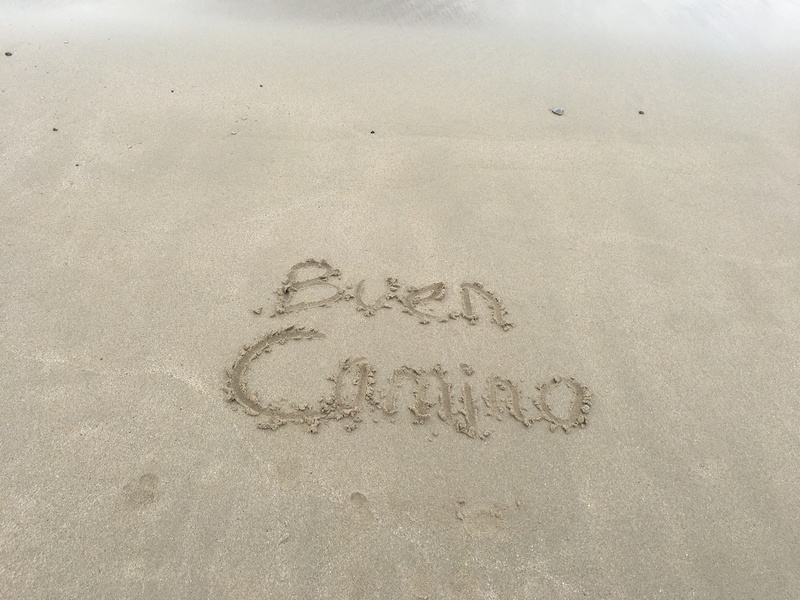 After settling into my hotel around 2 p.m., I was anxious to walk along the beach on my way to the Tower of Hercules, which I could see from my window. 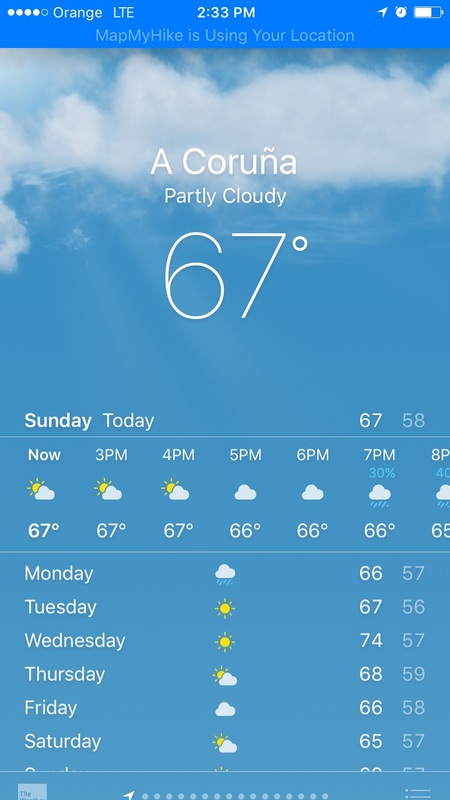 It was a calm day with a little cloud cover—perfect for exploring without getting too hot. Earlier that day, I had to catch a taxi at 6 a.m. to catch my flight out of Paris. After the hustle and bustle of security checkpoints and traveling via plane, bus, train, and foot, it felt so liberating to walk barefoot in the sand. My body craved being re-grounded in Mother Earth, especially after all of that travel. I loved how the sand felt as my feet sank down into it with every step. Squish, squish through the soft wet sand—it was almost like getting a foot massage! When I first arrived at the beach, I heard live music playing loudly from one of the bars along the promenade. As I got closer, I identified the song. Did you hear it in the video above? Can you name that tune? The answer is below, but let’s see if you can identify the song, which can be heard more clearly at the end of the video below. I love guessing games! *Answer: The song was Old Time Rock ‘n’ Roll by Bob Seger. I couldn’t tell if the singer was male or female, but I was seriously tempted to go to that bar, order a drink, and watch the show. I contemplated the pros and cons: I figured I could listen to mediocre cover bands back home, but this was my first day in Spain; there were other things to discover. Sorry, Bob Wannabe—Plan A won. I thoroughly enjoyed myself, collecting stones, wading in the waves, and writing messages in the sand. If it had been a little warmer out, I would have taken a swim. I saw a few swimmers out there braving the cold water and some little dogs playing on the sand. I thought of how much my dogs love running around at beaches in the San Francisco Bay Area. We could get used to living in a place like this! I’m sure the beaches are crowded with sunbathing bodies and people frolicking in the waves during high season. But for me it was just a peaceful slice of serenity, and for that I am grateful. 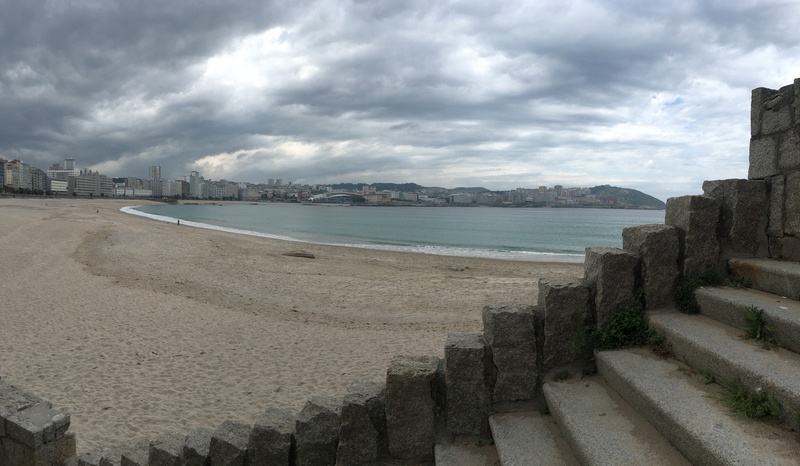 There are actually three beaches in this area: Playa de Riazor, which was closest to my hotel and the Riazor stadium; Playa del Orzan is the largest beach (picture above); and the smaller Playa del Matadero. 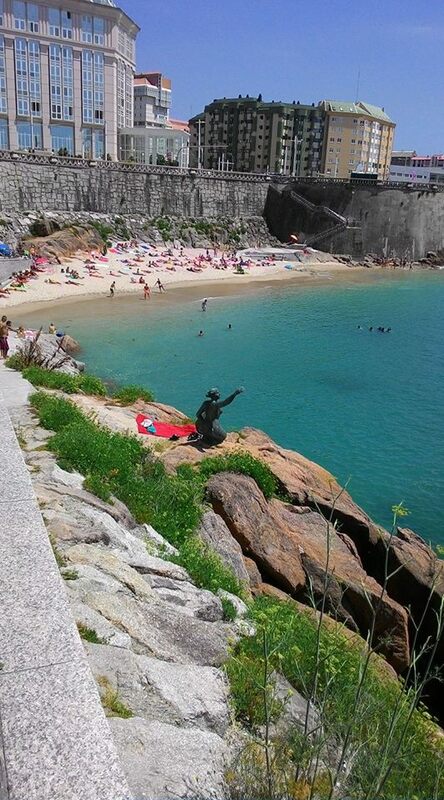 Below is a photo of Matadero Beach, shared by someone who was there in July. As you can see it can get quite crowded during the hot summer! Marie Dominique Rigaud shared this photo on the Facebook group. I love the bronze mermaid statue! 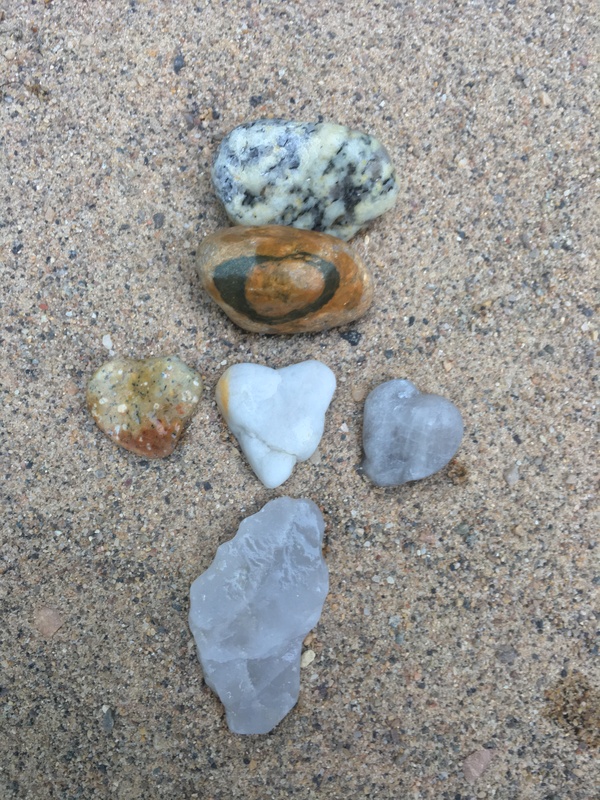 There weren’t many shells on this beach, but I spotted a few small heart-shaped rocks that I couldn’t resist, even though collecting them would add to my backpack’s weight. I figured if these stones weighed me down too much, I could lighten my load by placing them at cruxeiros (stone crosses) that I would see along the Camino. I heard that the Camino Inglés has many of these crosses. Three heart-shaped stones in the center, a stone with a heart ring above, and a footprint stone below. To me, these stones were signs that I was following my heart. It was as if Spain was showing me some love and welcoming me back to the Camino. I recently became very interested in crystals, and I thought that if I didn’t place the stones at cruxeiros and they made it to Santiago with me, they would be a nice addition to my collection back home. I created a video with highlights of the beach and tower. Note the nice fountain in honor of the surfers in the beaches of the city. 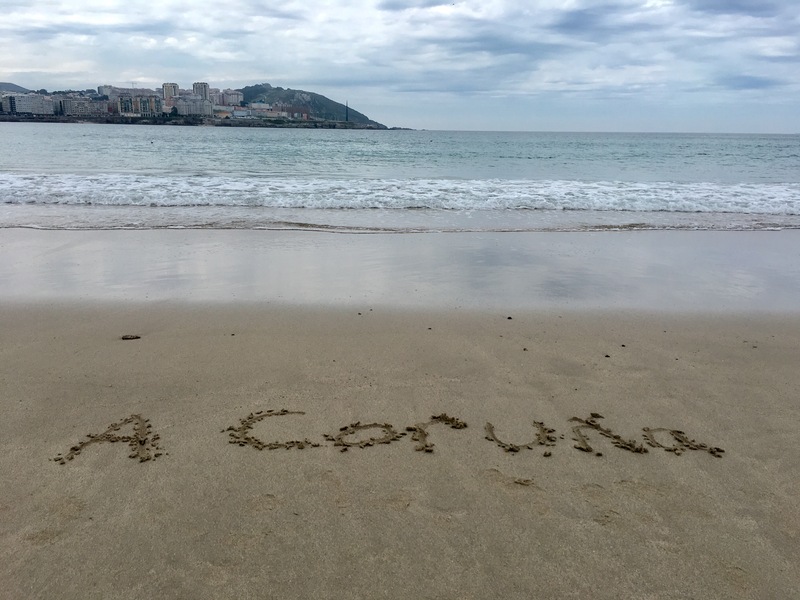 A Coruña is such a fantastic place! It would make a great day trip from Santiago. 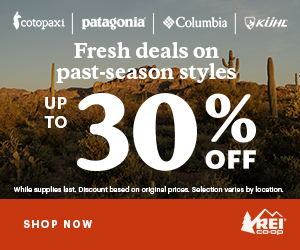 See logistics of taking the train from Santiago in this post. Stay tuned. 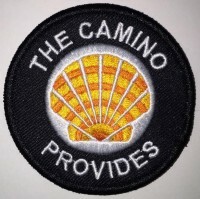 I’m unpacking my Camino, adding photos to the Facebook album, and rolling out the posts. All of my stages will be added to this page: Camino Inglés 2017. ← Camino Francés 2017 Route Report – It’s a wrap!